One of the best deposit methods for adding money in your sportsbetting account. Skrill was founded in 2001 in the UK as Moneybookers to facilitate low-cost money transfers. Now one of the world’s most popular, hassle-free e-wallet solutions, it has grown to include more than 36 million members and is supported by most major online brands. These include online bookmakers, such as popular cricket betting websites like Bet365 and Betway, where it can be used to conveniently and securely fund your account and withdraw your winnings. Like another popular e-wallet solution for online betting, Neteller, Skrill is part of the Paysafe Group. What currencies can be used with Skrill? Registering with Skrill could not be easier. To make full use of your account, however, you need to go through the verification process – this will include confirming your location and bank account details and depositing a small amount into your Skrill wallet. Once verified, however, you are ready to link your Skrill wallet with popular online cricket bookmakers such as Bet365 and Betway. There are several options for uploading money into your Skrill account, with the most popular being a credit/debit card. To use a credit/debit card you will need to verify it first – which is a simple process when you first register your card, but be aware that this does take a few days. Once verified, using your credit/debit card allows you to instantly transfer money to your Skrill wallet, with just a 1% fee. Other options available are Instant Bank Transfer and Manual Bank Transfer using your registered account, or with a paysafecard – which is part of the Skrill and Paysafe group. There is a 1% fee on all deposit methods, with Bitcoin, Neteller, Trustly, Klarna, BOKY and Rapid Bank Transfer also available. Select your currency, if applicable, and then enter your deposit amount and follow the steps on screen (select ‘Next’ to progress). 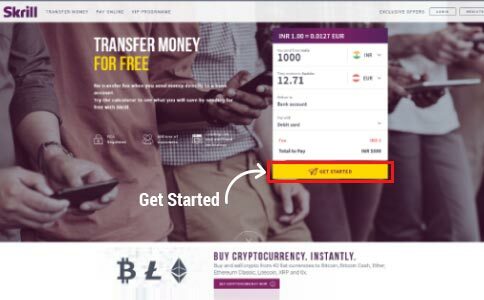 Skrill charge a 1% fee on all upload methods, from Bank Transfer to Neteller to Bitcoin, making it not only hassle-free to upload funds once your details have been verified, but one of the cheapest options available too. Now you have your Skrill account set-up and can upload funds to it, how can you use Skrill to access the best markets on cricket tournaments available at online bookmakers like Bet365 and Betway? It is free to use money in your Skrill wallet to pay online at retailers (including bookmakers) that accept Skrill. Enter a minimum of £5/€5/$10 (or equivalent), re-enter your password and select ‘Make Deposit’. It is advisable to use the same currency as your Skrill account is set to, in order to avoid any currency conversion fees. Log-in to your Skrill account using your email and password and complete the transaction. 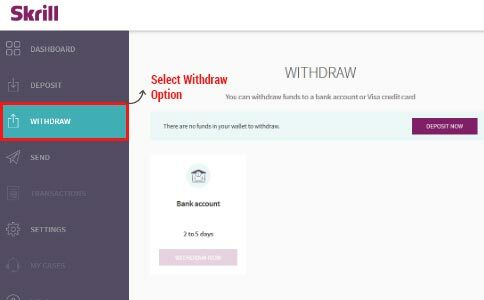 Skrill shows you how much you will be charged to withdraw (£4.76/€5.50 for bank transfer, 7.50% for VISA). In some countries, rather than withdrawing funds you can send it directly to a bank account with no fee. You can see a full list here. Select ‘Withdraw Now’, taking note of the maximum amount you will be able to withdraw. Select the card or bank account your wish to withdraw to, and click ‘Next’. Skrill charges a small fee for withdrawals. For bank transfers, it is the equivalent of £4.76/€5.50 per withdrawal, while for VISA it is 7.50%. A small exchange fee is also charged where currency conversion must be performed – this is 3.99%. Skrill also offer a number of different cards, prepaid and virtual, to make even more of your Skrill account and allow you to spend you winnings from betting on cricket matches online at a vast range of retailers. With the Skrill Prepaid Mastercard, you can access your Skrill account balance wherever you are as long as Mastercard is accepted. 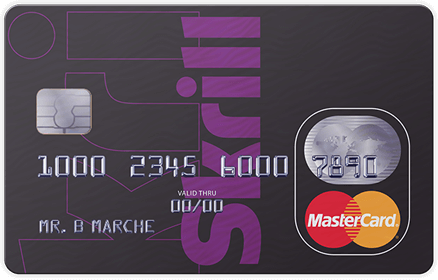 The Skrill Prepaid Mastercard is available in four currencies: Euros, GBP, USD and Polish Zloty. Not only that, but apart from an annual fee (equivalent to €10), Skrill only charges for ATM usage (1.75%). Otherwise it is free to pay for goods in shops, restaurants and online, as well as to receive online statements and check your balance. The fees are the same wherever you are. The Skrill Prepaid Travel Card takes things even further – accepted in 35 million locations globally. You can also top it up any time using the Skrill app, and it is hassle-free with no credit checks. Skrill also offers access to the Mastercard Priceless Cities card – encouraging you to experience the landmarks, events, hidden gems and sports teams of famous cities. You can choose from a range of experiences, adventures or shopping and dining benefits, as well as shows and sports events and hotel upgrades. Skrill also offers a free virtual card, again available in PLN, GBP, EUR and USD. It is simple, virtual (so safe), online and instant. To get your Virtual Prepaid Mastercard you just need to log-in to your Skrill account and ensure you have a positive balance in your Skrill wallet. Select Skrill Card, click Add a Card, select your currency and go. You will be presented with your 16-digit card number, CVV code and expiry date (selected according to your wishes), which you can now use online. For more information on Skrill cards or to order one, select Skrill Card from the left-hand menu when you log-in to your Skrill account. Why should you use Skrill to bet on cricket matches with online bookmakers? Skrill takes security seriously, which is why you will be informed whenever your account has been accessed from a location other than your home address. By using Skrill to bet on cricket matches online, you do not need to link your bank account to your online bookmaker account, keeping your personal details safe. Skrill is also hassle-free, once you have been through the verification process. 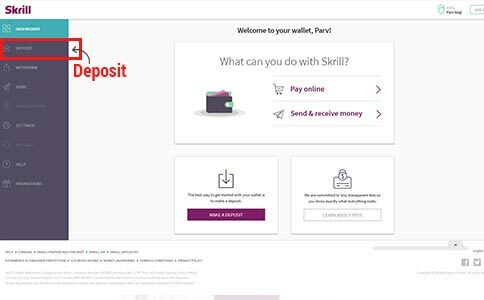 It is easy to upload funds to your Skrill account, to link your Skrill wallet to your online betting accounts and to withdraw funds to your bank account or VISA card. Skrill’s prepaid cards also give you instant access to your Skrill wallet, allowing you to spend the profits from betting on cricket matches at a wide range of retailers, both online and in person depending on the card you use. Skrill charge low fees for all transactions, allowing you to keep more of your money. Uploading to your account costs just 1% - making it cheaper than Neteller – and withdrawals are also fairly priced too, as are currency conversions. It is free to transfer funds from your Skrill wallet to your online betting account, and free to receive money too.